Fat bombs may be small, but they pack intense flavor, usually have around 200 calories and are, as you may have guessed, primarily made up of fat. They're a popular treat in ketogenic diets (KD) that help satiate hunger while upping the fat percentage for the day. Traditionally, ketogenic diets promote deriving 75 to 80 percent of your daily calorie intake from healthy fats. This breaks down to three or four grams of fat per protein and carbohydrate gram combined. More moderate versions of KD range from one to two grams of fat for every gram of protein and carbs, according to the Academy of Nutrition and Dietetics. While these "fat bombs" can be worked into an overall healthy lifestyle, they aren't low calorie by any means, so it's important to keep your eye on portion size (as well as the quality of fats you're using). There are many variations on the theme, but the recipes in this roundup have a few things in common: They require zero cooking, take five minutes or less to prep and happen to be 100 percent plant-based. Get ready to check those hunger pangs at the door with these 10 on-trend recipes that you can whip up in mere minutes. These chai-spice goodies are deeply satisfying, thanks to the refreshing addition of pure lemon extract (you can replace with lemon zest in a one-to-one manner), the gratifying crunch from chopped pistachios and the earthy dose of healthy fats from almond butter. You can use premade chai spice or make your own (our take on a chai spice blend is included as part of this recipe). Once you get the hang of it, experimentation is encouraged. Play with levels of sweetener (scaling back when you can), mix-ins and garnishes. Red chile flakes and pure cacao powder are an excellent flavor combination. The heat from the anti-inflammatory chile enhances the antioxidant-rich chocolate and cuts through some of the fattiness that can leave an unpleasant feeling on your tongue. 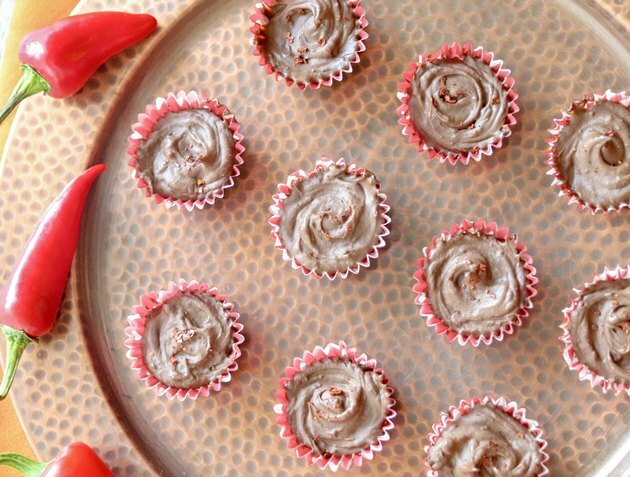 The easiest, no-fail way to make fat bombs is to use a mini-muffin pan and plenty of liners. It not only keeps portions under control, it also helps contain the mess. Using two liners per cup isn't mandatory, but it does help the fat bombs pop out of the pan more easily. That's because the fat bomb "batter" is usually liquid when poured (and, of course, fatty), so it soaks through at least one liner and can freeze stuck to the muffin tin during the chilling process. If you do use a single liner, a thin but sturdy chopstick or bread knife with a little applied pressure will pop them out easily enough. Only a smidge more complex than the rest of these "blend it and freeze" recipes, think of this fat bomb as a grown-up deconstructed peanut butter cup where the nut butter is on the outside. 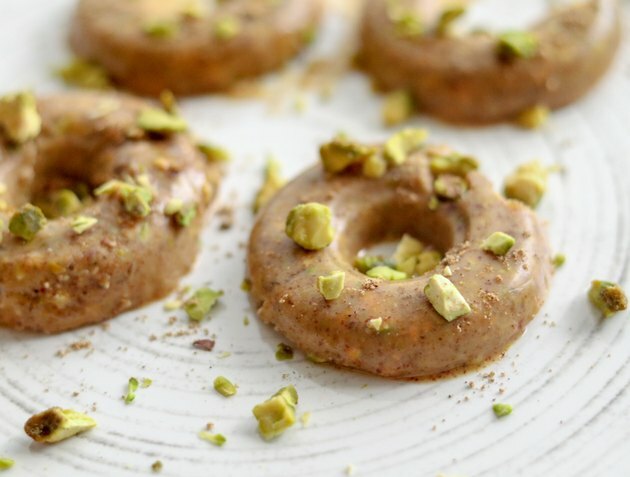 And rather than make this with a predictable nut butter, use sesame seed paste (aka tahini) for a unique flavor that is familiar enough to be comforting. 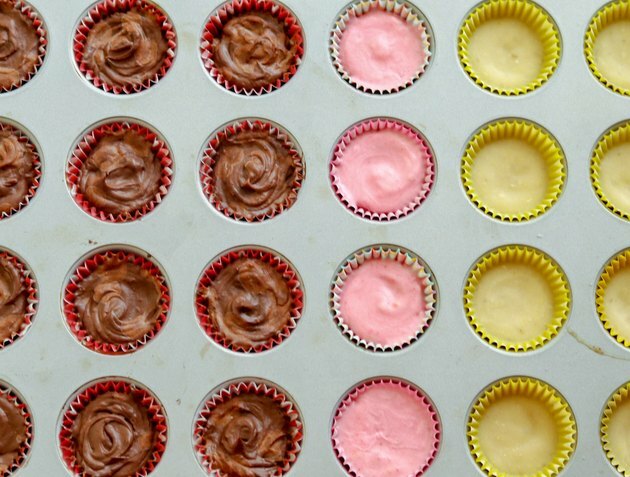 Once the base chocolate layer is ready, the mini-muffin cups are filled and chilled in the freezer. In the time it takes to make the sesame layer, the chocolate layer is set enough that you can then pour the top layer, so there's no downtime. Rosewater is exactly what it sounds like: water that has been infused with rose petals. It is common in many Middle Eastern dessert recipes, such as baklava, and at one point was more popular than vanilla. In this recipe, it adds a mild floral note. In case you're concerned that it will taste like perfume, don't be: There's just a hint of rose that gives way to a much stronger chocolate and almond butter flavor. FYI: A good bottle of rosewater shouldn't run more than about $10, and a little goes a long way, so it's best to add a little at a time and check the taste. You can always add more. Our favorite part? 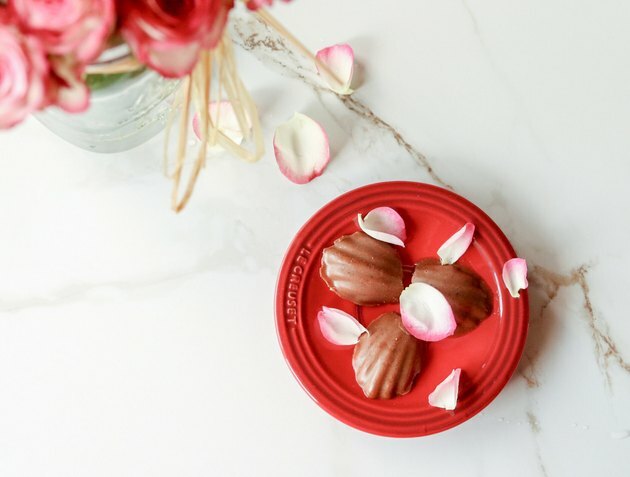 The fact that you can legitimately serve this with rose petals. What's not to love? Let's talk about the "fat" part of fat bombs for a second. Fat bombs typically include a saturated fat that easily solidifies when chilled, such as butter, cream cheese or coconut oil. While a little saturated fat is functional for these recipes, keep in mind that the best evidence available (randomized controlled clinical trials) shows that replacing saturated fat with unsaturated fat reduces the risk for heart disease, as described in the recently published Dietary Fats and Cardiovascular Disease: A Presidential Advisory From the American Heart Association. That's why even though all of the fat-bomb recipes in this list include virgin coconut oil to give them shape, they also include better-for-you nut butters or avocado to balance things out. Just remember, no matter how vociferously people shout that coconut oil is a superfood with all-healing powers or say the opposite, calling it pure poison, it's not. It's just another food. And because it's high in saturated fat, you should proceed with caution. Hence the small serving sizes and healthy mix-ins like the fresh raspberries and lemon zest in these pretty pies. 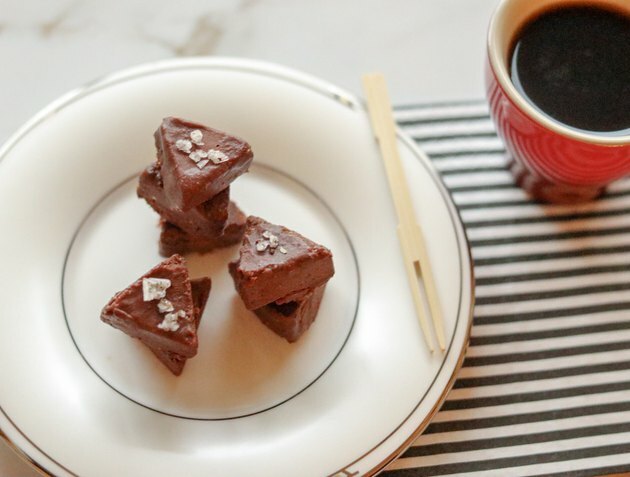 Basic fat-bomb fudge, meet heart-healthy chia seeds. The chia in this recipe boosts its nutritional profile with omega-3 fatty acids, plant protein and dietary fiber. The almond butter adds texture, more healthy fats, antioxidant vitamin E and a plant-based source of the vital mineral calcium. The pure cacao powder packs complex polyphenols that research suggests has antioxidant properties, blood pressure-lowering effects and anti-inflammatory qualities. 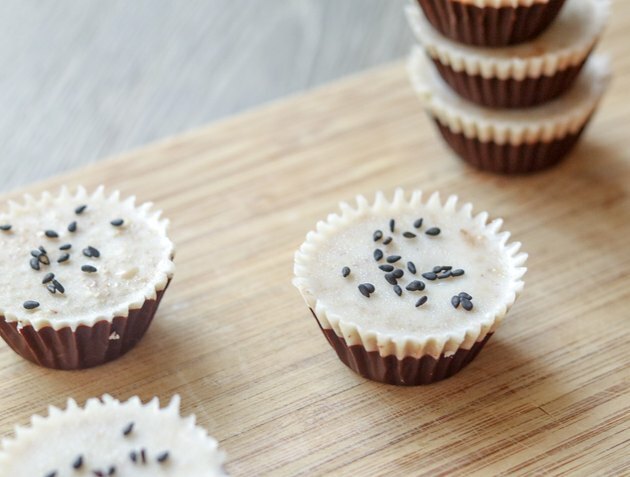 Decadent little bites on their own, these fat bombs would also be amazing dropped into a homemade blended iced coffee drink or a smoothie. These hand-rolled "truffles" are as sophisticated as fat bombs get. 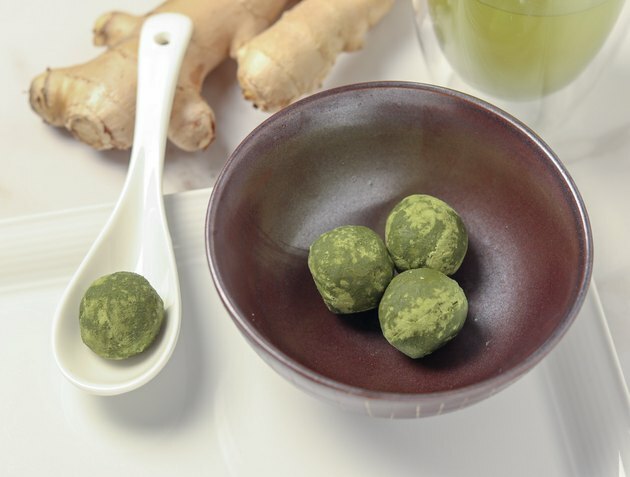 The phytonutrient-rich flavors from matcha green tea powder and ginger marry well within the structure provided by a blend of California avocado and coconut oil. The avocado ups the unsaturated fat content of this recipe, which is why it will feel softer than some of the other fat bombs on the list. Chill for five to 10 minutes to set enough before rolling into balls. Work quickly or the warmth from your hands will start to melt the truffle. Chill again and then roll it in a small bowl with a spoonful of additional matcha powder to coat the exterior. Trust us, these are as delicious as they are beautiful. 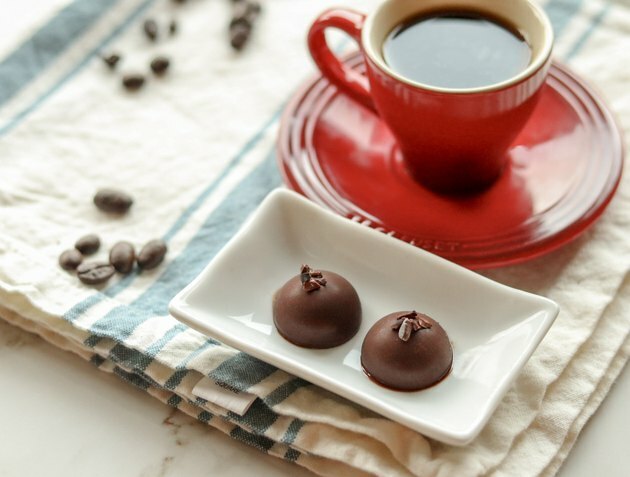 The secret to this tasty mocha fat bomb is pure coffee extract. A teaspoon of extract packs the same amount of flavor as a teaspoon of espresso powder but without the gritty texture. It's ideal in this case so that the fat bomb won't get watered down and lose its shape. But no one is stopping you from enjoying one of these little treats alongside your morning coffee! That way you're sure to get the benefits of a cup of java, which range from longer life to a reduced risk of certain cancers, not to mention the performance-enhancing effects of caffeine, which you'd be getting from the coffee as well as the cacao powder. 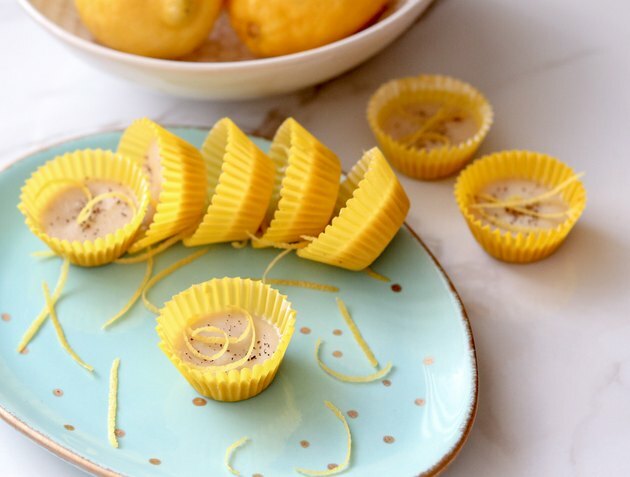 A silicone mold made it easy to create the smooth shape of these fat bombs. Second only to the mini-muffin tray, silicone molds are the way to go because they are so easy to use. This recipe is inspired by a traditional Italian pine nut cake but it omits flour, eggs and sugar. It gets its sweetness from erythritol, which is a naturally occurring sugar alcohol derived from fruits and vegetables that is both low in calories and doesn't have the aftertaste that many people complain about in other low- or no-calorie sweeteners. It doesn't raise blood sugar levels and is well tolerated compared to other sugar alcohols that can cause gas and bloating. In large amounts, it can cause some digestive distress, but studies suggest you'd have to be ingesting a lot at once for that to happen. One study showed side effects at 50 grams. The recipe in this roundup has just a few grams of erythritol per serving. Because keto recipes like fat bombs are trending like crazy, you may be surprised to hear that ketogenic diets have actually been around for decades. The diets are used today as a clinical treatment for epilepsy that doesn't respond to medication, but you've probably heard more about keto for its quick weight-loss results compared to other diets. 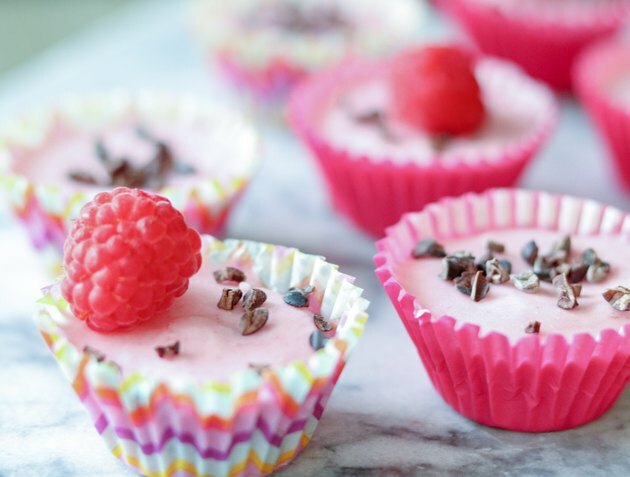 Regardless of what diet you follow, fat bombs should be considered a treat — and as with other recipes, the quality of ingredients definitely matter. The key high-quality ingredient in this recipe is hemp hearts, which boast healthy fats and twice the plant protein of chia seeds or flaxseed. It blends smooth, making it ideal for incorporating into fat bombs, and you'll love the mildly nutty flavor and pleasantly chewy texture that come through when it's added straight as a topping. 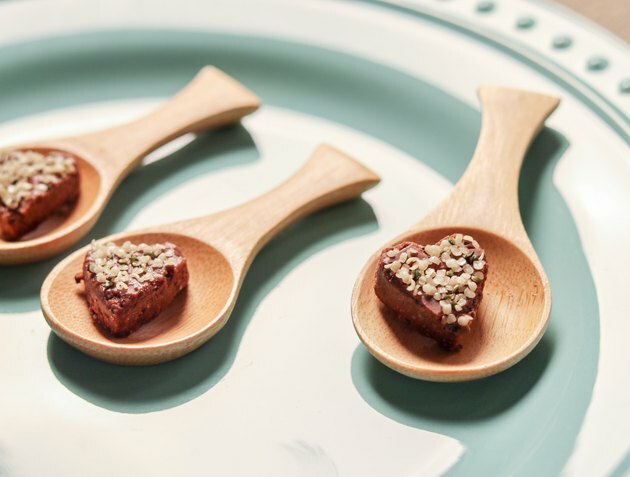 This recipe has hemp hearts inside and out, so you get the best of both worlds.